She sits in her house all day, the heavy curtains closed against the New Mexican sun. Pictures of saints and the Pope adorn the walls, and other evidence of her religious belief fills the house. Her life revolves around watching Catholic Mass on television three times per day, and everything else seems to take a back seat to her faith. She rarely parts the curtains and even more rarely ventures outside. "How are you?" I ask as I sit down on the seat opposite the couch where she spends her days and nights. "Fine," she says, looking at the floor. She fidgets with the hem of her dress. "How are things going with the home health aides? 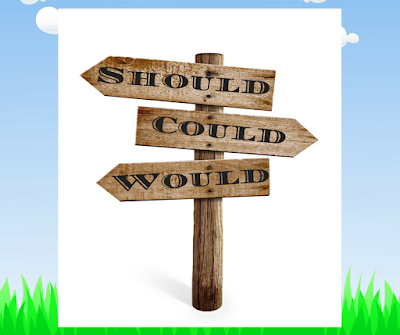 Is there anything new you need them to do for you?" "No. It's fine." She fidgets some more. "How are you sleeping these days? Do you get enough sleep?" "I don't sleep too well. But I'm fine," she replies. Her lack of eye contact is unnerving and I fumble for ways to make a deeper connection, but this is only our third meeting and I know she needs time to build trust, so I'm patient. "Is there anything I can do for you? Is there anything you need?" "No, I'm fine." She looks over at the TV. "Mass starts soon and I still have to make my oatmeal." The clock on the wall ticks and tocks in the silence between us. "Your house looks lovely. You take such nice care of it. Have you lived here a long time?" "My husband built it forty years ago. Every board and nail. He even did the adobe. We raised our children in it, and he died nine years ago." Her affect brightens as we look around the house. "The woodwork is beautiful, and I love the counters in the kitchen. He did a brilliant job," I add. "I really have to make my oatmeal now. I don't want to miss Mass." "OK," I say. "I'll come by and see you at the end of October, and I hope you have a good month til then." We shake hands. I open the front door and light comes streaming in. She squints, shades her eyes, and says goodbye as she closes the door. Mass and oatmeal await. 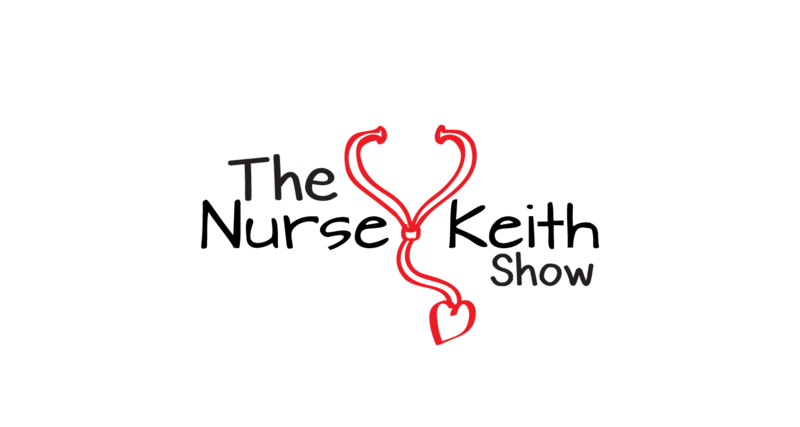 The newest edition of Change of Shift, the premier nursing blog carnival, is now up and running over at Emergiblog. 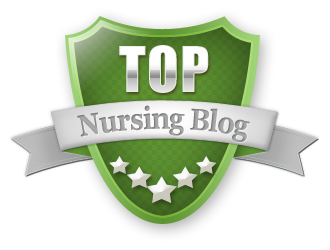 I'm pleased to again be included as a contributor, and my thanks as always to Kim at Emergiblog for being a champion of nurse bloggers around the world. 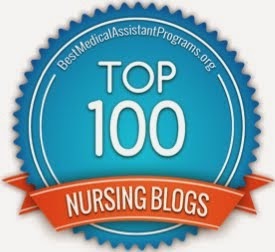 Kim has worked tirelessly to promote the many nurse bloggers who pour out their hearts and souls to describe the joys, frustrations, challenges and rewards of the incredibly varied profession of nursing. She remains ahead of the virtual curve, and inspires us all to continue writing and sharing our experiences with the world. Cruising into the office after seeing a few patients for home evaluations, I walk into my supervisor's office to pick up some documents from the printer. On her desk, there is a white cardboard box with printing on the top, and I immediately know what it contains: ashes, or what is known euphemistically in the funeral industry as "cremains". Stopping in my tracks, I approach the box, my mind flashing back to the day when I picked up my step-father's ashes from the funeral home, overwhelmed by the fact that his 72-inch tall body weighing 180 pounds in his prime was now reduced to a box of detritus weighing in at less than 10 pounds. I recall driving home with that box in the passenger seat of my car as I cried in relief for the end of his suffering, despite the surreal notion that all that was left of his physical body now fit in a small container that bounced nonchalantly on the seat as I raced towards home. Returning to the present, I gently opened the white box bearing my deceased patient's name, and reached in to grasp in my hand a clear, thick plastic bag containing her remains. I lifted the bag out of the box, weighed it in my left hand, and closely examined the small chunks of bone interspersed in the grayish ash. Closing my eyes, I conjured her face in my mind's eye and sent her a prayer of comfort as I returned the bag to the box and closed the flaps tightly. I had only met this patient once, and although I had heard that she was dying, my next visit was not scheduled quickly enough, and she died before I could make a final visit. Our agency's home health aides knew her well, providing intensive personal care as her illness progressed. An intellectual, writer and retired professor, her body and mind had deteriorated greatly over the last five years, and those who knew her well understood that this mental and physical deterioration had been incredibly difficult for her to accept. Unable to read, write or speak, she was trapped in a body that had become, for all intents and purposes, a vestige of itself, a shell almost entirely incapable of personal expression. Despite having no living family, she did not die alone, and this is a comfort to all who knew and loved her. Leaving my supervisor's office, I was flooded with memories of my step-father and his final days, especially that last day of his life when we all gathered around his bed to witness his last intake of breath. He never exhaled, and it was as if the six of us expectantly gathered around his bed had exhaled for him, sending his spirit out from his body on its journey into the unknown. Next, my old dog Sparkey came to mind, and I pictured that day in late summer when the vet came to our house and assisted him to leave his pained and wasted body behind. As the medication entered his veins, he licked each of our faces in turn and a single tear ran down his furry cheek. It was a difficult goodbye, but his suffering was due for a humane and timely end. Now a dear friend of ours struggles with cancer as she grapples with what treatment regimen will be most effective and least toxic, and her phone messages and our conversations across the country reflect the potential of loss that we are all facing vis-a-vis her mortality. Recently, another dear friend's sister took her own life, and another acquaintance died after a brief but heroic battle with leukemia. That little white box and its contents of ash and pulverized bone were a provocative reminder, a physical and unexpected talisman of the final ride that we all must eventually take. Bearing this in mind, I considered my own complaints and their relative pettiness, and was once again reminded of what a brief and wonderful privilege it is to inhabit a human body, walk the earth, and breath in the air of life. We arrive to this world empty-handed and leave with nothing but our soul. They say you can't take it with you when you go, so we have to make the most of this fleeting earthly sojourn of ours. I am grateful for the time I have, and when it's my turn to take my place in a little white box of ash and bone, I will do so with gratitude and the knowledge that this was a life well lived. As the saying goes, ashes to ashes. "I'm getting old and lazy," she said as she sipped her coffee and nibbled on a chocolate chip cookie. "After ninety-five years, I figure I have a right to be lazy." "So," I responded, smiling, "what does old and lazy look like to you, my dear?" "Well, I get up in the morning at my leisure, take my time getting washed and dressed, sip on some coffee, look out the window, and eventually make my way to the living room or the patio. Sometimes I eat lunch, sometimes I don't, and then the rest of the day I can do whatever I want, really." She sips some coffee and has another bite of a cookie, offering me one from the plate. Taking a cookie, I bite into it as we look into each other's eyes and smile, sharing the simultaneous experience of the flavor of the cookie, the brilliant New Mexican light, and the fresh September breeze coming through the dining room screen door. "Do you feel like your needs are being met? Are you happy with the care you're receiving? Is there anything you need?" I put my cookie down on the plate in front of me. She looks very thoughtful. "After so many years, I have no complaints. It's been a wonderful life. My kids love me and care for me. You people come to help me. The house is beautiful and I can see the sky and the mesa out there." She points vaguely towards the window. "I'm happy. I really am." We each take another bite of a cookie, and she pats the head of the family dog who has buried his head in her lap. "Have another cookie," she says, and smiles. Please pay a visit to the newest edition of Change of Shift. 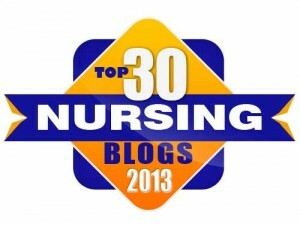 I am very happy to once again be included in this fine collection of blogging by nurses.